The concrete surface is cleaned by grinding, if necessary, acid washing, then pressure washing. The concrete is then primed and base coat applied. 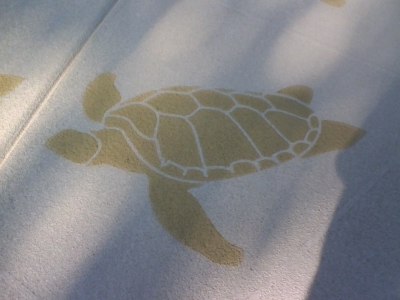 The chosen stencil or pattern is then laid and cement based resurfacing compound is sprayed or trowelled onto the surface. As our resurfacing compound is cement based and not paint based, it’s actually about 3 or 4 times harder than your concrete. 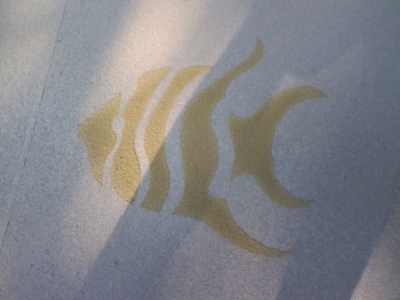 The stencil or pattern is removed, the surface cleaned and sealer applied. THERE MANY DIFFERENT COLOURS AVAILABLE. 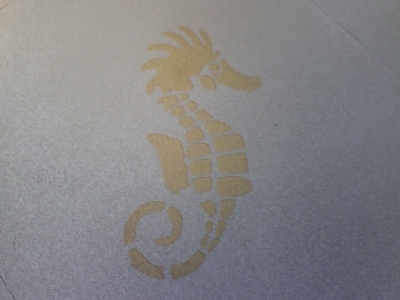 Custom-cut stencils are also available for logos and one-of-a-kind designs.